With that, Chapter 2: False Impressions comes to an end. Check out my Patreon page for a quick Happy New Year sketch, featuring a character who will be introduced soon! Man, Ethan’s face in the third panel. Isn’t he just lovable? Ethan may look provoking but he’s really probably a hot dog-loving teddy bear in disguise. 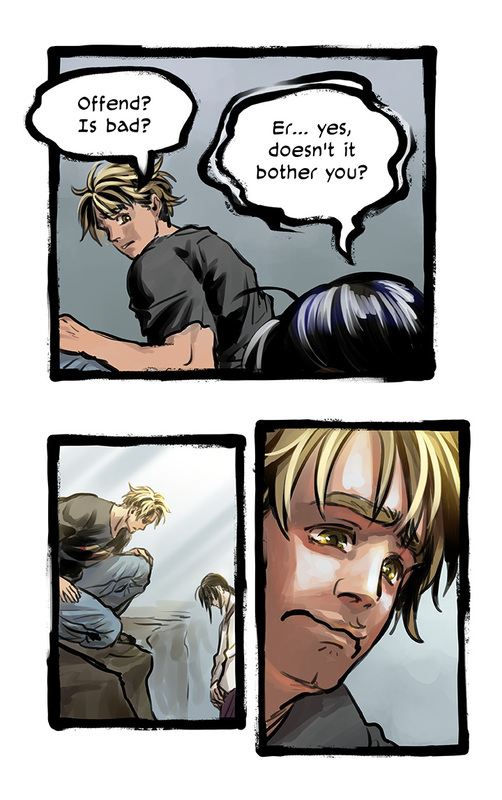 I like how the light shines on Ethan, but not Danbi to show Danbi’s sadness/guilt-like feeling.